Larry Davis has been named interim chair of the University of Maryland Department of Computer Science, effective July 1, 2017. A Distinguished University Professor, Davis joined the UMD faculty in 1981 and served as department chair from 1999 to 2012 and as founding director of the University of Maryland Institute for Advanced Computer Studies (UMIACS) from 1985 to 1994. 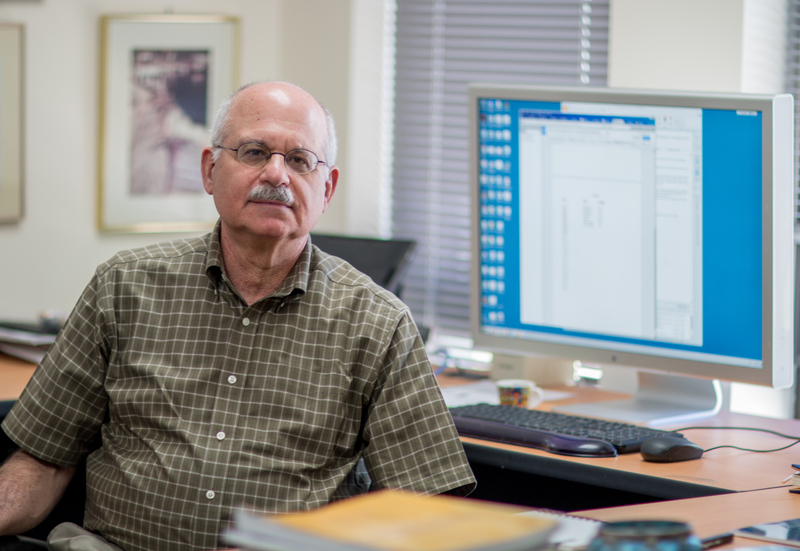 “With more than 40 years spent on campus and considerable prior experience leading the department as chair, Larry was the perfect candidate to keep computer science moving forward during this interim period,” said Gerald Wilkinson, dean of the UMD College of Computer, Mathematical, and Natural Sciences. After earning his bachelor’s degree in mathematics and physics in 1970 from Colgate University, Davis received his master’s degree in 1972 and doctorate in 1976, both in computer science from UMD. He is currently director of the Center for Automation Research, one of 16 labs and centers in UMIACS. His research focuses on object/action recognition and scene analysis, event and modeling recognition, image and video databases, tracking, human movement modeling, 3-D human motion capture, and camera networks. He has been elected fellow of the International Association for Pattern Recognition, the Association for Computing Machinery and IEEE. Davis succeeds Samir Khuller, the Elizabeth Stevinson Iribe Chair of Computer Science. During his five years as chair, Khuller helped to obtain the largest gift in university history and other significant gifts to build the Brendan Iribe Center for Computer Science and Innovation. He also secured three new endowed chairs and professorships; hired 22 new tenured, tenure-track and teaching faculty members; and launched the Corporate Partners in Computing program with UMIACS. The department also received funding for several new scholarships and the Victor Basili Postdoctoral Fellowship program during his tenure. In addition, Khuller spent countless hours building and renewing relationships with alumni and developing an alumni email list. Khuller also supported many new student initiatives, including establishing a joint doctoral program in computer science with the Max Planck Society, creating specializations in cybersecurity and data science for undergraduates, and developing the data science certificate program. He also helped sponsor several annual student hackathons and create the Maryland Center for Women in Computing. Nearly 400 more women are pursuing bachelor’s degrees in computer science at UMD than five years ago, and the proportion of female undergraduates in the department increased 5 percent while Khuller was chair.